They don’t call Belgium and the Netherlands the “low” countries for nothing. The “nether” in “Netherlands” actually means “lower”. 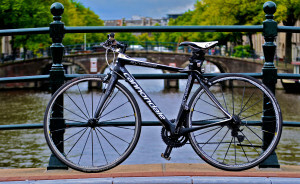 With most of the land at or below sea level, and nary a hill in sight, you shouldn’t be surprised that in some regions of the Netherlands and Belgium, there are more bicycles than people per capita (some people own 2 bikes – a city “beater” and a fancy road bike for the weekends)! 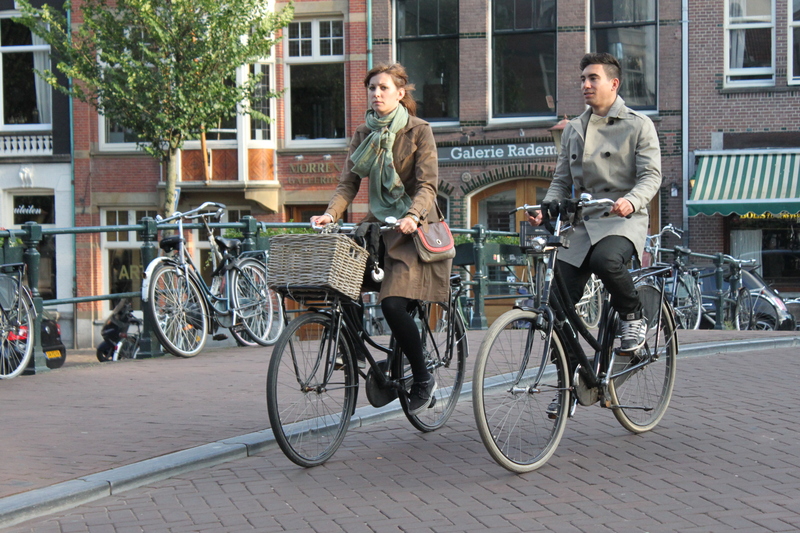 In Amsterdam alone, 60% of all trips are made by bicycle. Everyone uses this mode of transport – bankers, students, delivery people, priests, politicians, police – it’s really a way of life. 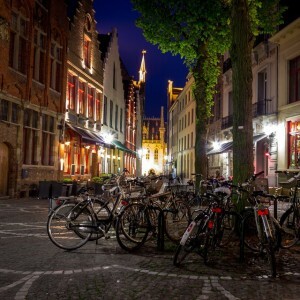 On one of my tours in Bruges, Belgium, the group had some free time and I asked my Dutch bus driver if he wanted to rent a bike with me and ride out into the countryside. 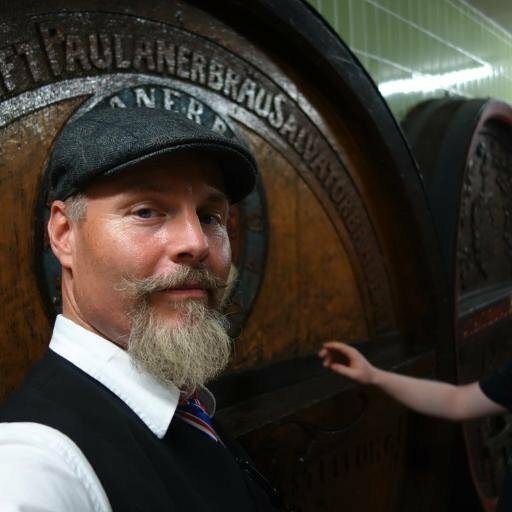 He took it as a bit of a challenge, asking “You can think you can keep up with an old Dutchman on a bicycle?” I did OK.
I’ve always advocated doing as the locals do when traveling – it’s part of the OneLife Tours philosophy. 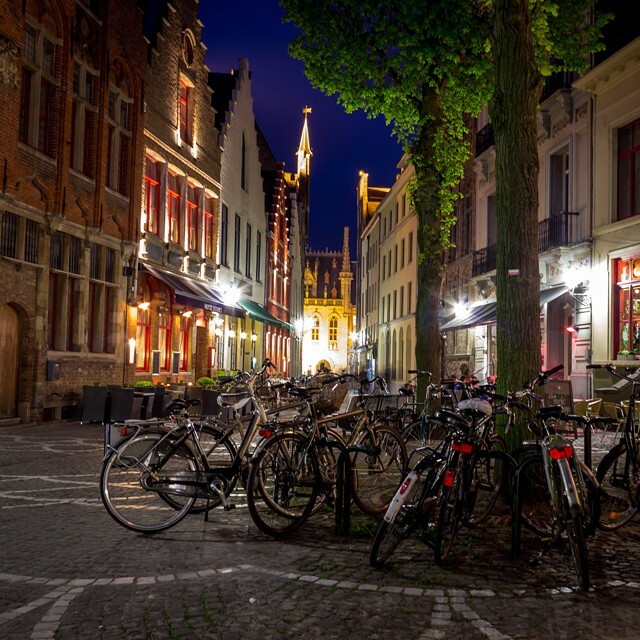 So the next time you’re in the Low Countries, rent yourself a bike and see how easy it is to navigate around town or take a little side trip out into the country. 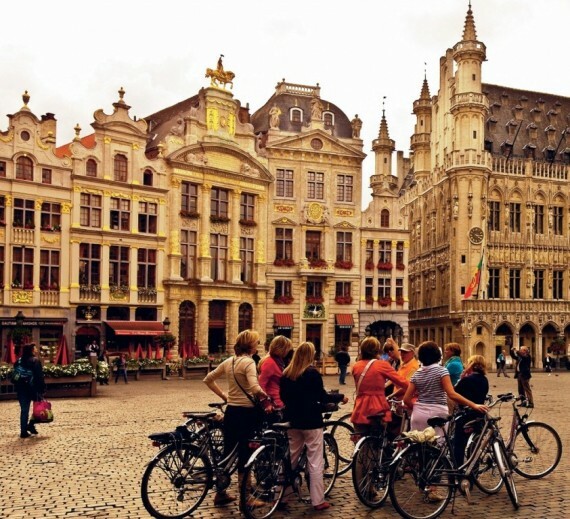 Brussels has a few more “hills” than Amsterdam or Bruges, so you are liable to see a wider selection of gears on your typical rental bikes here. It is also the least bike-friendly of the three cities listed here – though there are lots of bikes, and riding is generally safe, just beware that you are more likely to be riding beside city traffic without your own dedicated bike lane in Brussels. If you’re OK with that, a bike is a great way to get around the city. Villo: Not a traditional bicycle rental shop – Villo is a citywide bike hire system with stands all over the city approximately 500 metres apart. These bikes are heavy steel frame bikes meant to stand up to heavy usage. To use this system as a visitor, you must purchase a 1 day guest pass with your credit card, then use it to sign out bicycles at any of the stands. Ask a local for help if you are having trouble with the machine – but instructions are in English, so give it a try! 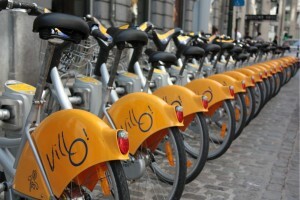 Just look for the yellow “Villo” fenders as you walk the streets, or use this online map to find one close to you. Ahhh… Bruges. My favourite destination in the Low Countries – a medieval timewarp, with absolutely flat streets emanating out from the central market square to some beautiful countryside. Rent a bike and just use it to get around town, or take it out past the windmills on the edge of town and ride to the little villages of Dam or Lissewege. Insider info: Hotel Adornes has free bikes for guests staying with them! 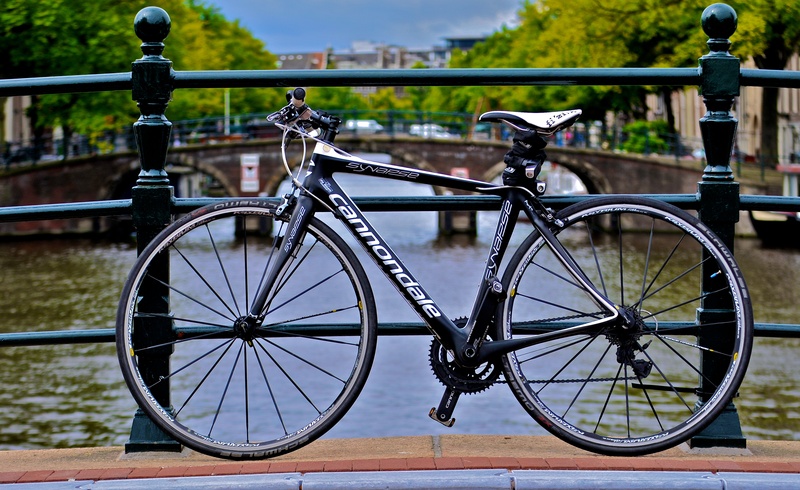 Take your bike with you in the morning – stay out as long as you like!